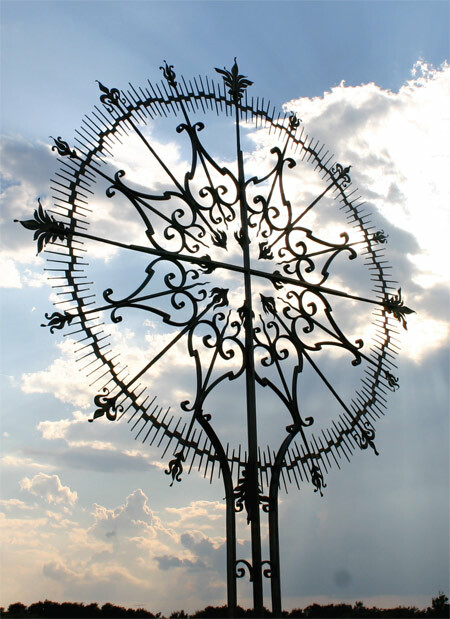 Waihi Metal Studio produces finest quality hand wrought ornamental and sculptural metalwork. 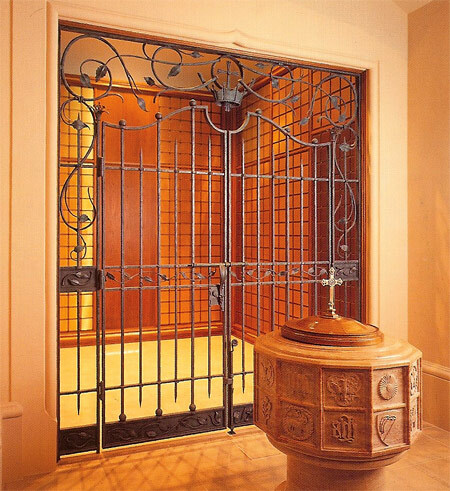 Combining traditional, European craftsmanship with contemporary tooling and practices, Nicholas Brumder's artistry in iron is highly prized by architects, designers, and clients. Nicholas operated Brumder Ornamental Iron Inc. a dynamic forge, for forty years in Georgetown Texas and has recently relocated his forge to Waihi NZ. 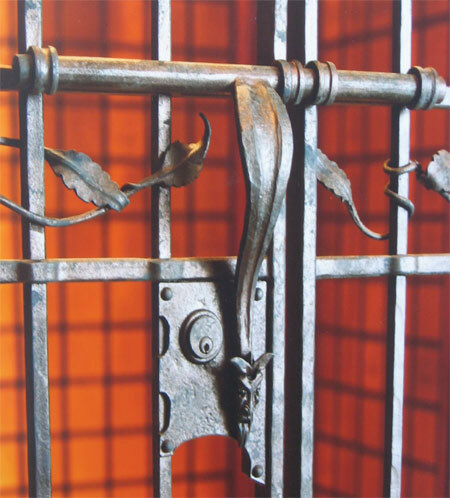 Waihi Metal Studio specializes in entrance gates, railings, lighting, furniture, monumental and public works of art. 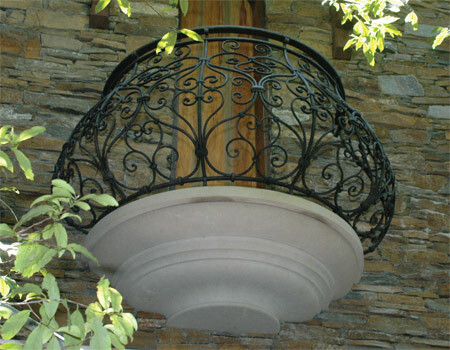 Wrought ironwork is the hallmark of quality and beauty, and offers great value and distinction. We look forward to bringing our high standards, artistic designs, and goal of customer satisfaction, to your service. 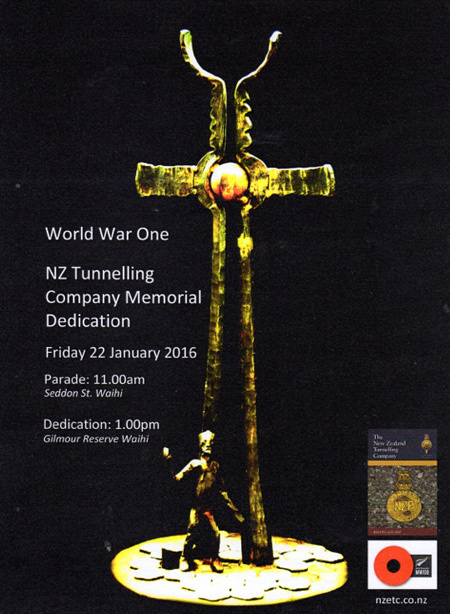 The Tunnellers' Memorial dedication date has been confirmed. The Governor General His Excellency Sir Jerry Mateparae has kindly agreed to dedicate the Tunnellers' Memorial in Waihi. Waihi Heritage Vision has successfully applied for funding toward the full cost of the Tunnellers' Memorial planned for the Miners' Reflective Area at Gilmour Reserve. The Heritage group applied for funds from the Lottery World War One Commemorations: Environment & Heritage Grants and was told late last week it was successful with its application and would receive the requested $100,000. Waihi Heritage Vision researcher and spokesperson Sue Baker Wilson said receiving the $100,000 grant is dependent on the Heritage group raising a final $25,000. 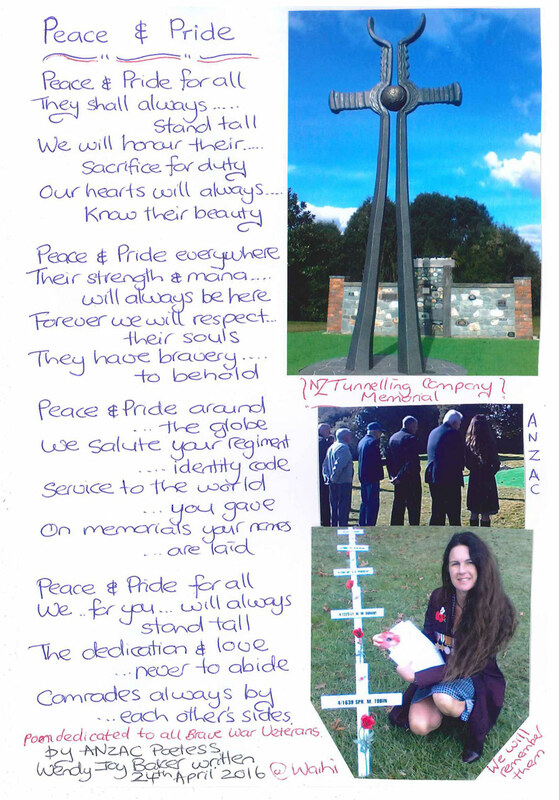 "We hope to achieve this by the end of 2014 so we can commission and build the memorial in 2015 in time for the centennial of the New Zealand Tunnelling Company arriving on the Western Front in France in March, 1916 and of the first members of the New Zealand Division to arrive," said Ms Baker Wilson. She said the group was very appreciative of the support provided by Newmont Waihi Gold and Hauraki District Council in the preparation of the application. "We also couldn't have done it without support from Waihi locals and Tunnelling Company family members from around New Zealand." She said most other recipients of the WWI Commemorations: Environment & Heritage Grants are museums and larger organisations. "We are privileged to receive this funding, but it is also a reflection of the strength of the work that went into the application and the quality of the proposed memorial." 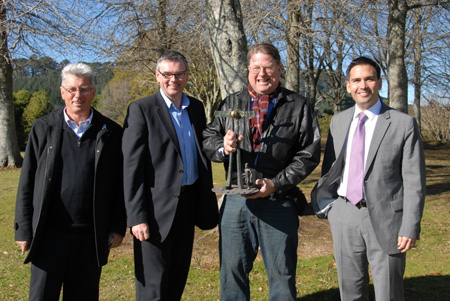 See also Waihi Leader Article from 24 April 2014 (PDF 1.7MB). On Saturday, 19 October 2013, many local dignitaries, townspeople, representatives from the Mines and parishioners gathered at Gilmour Lake for the dedication and unveiling of this fantastic work of art. Waihi Metal Studio combines the highest standards of artistic design and structural integrity with the practical considerations involved in any construction project. 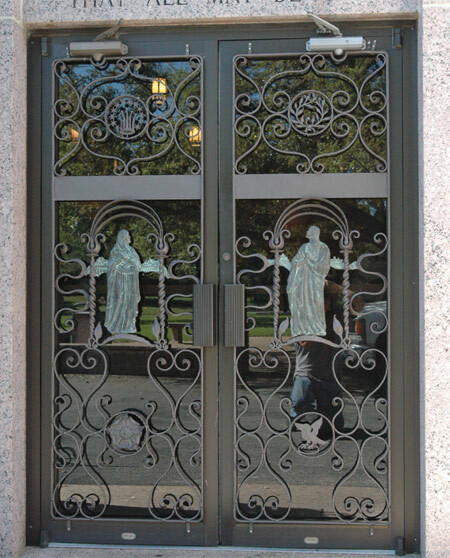 Wrought ironwork is the hallmark of distinction in architecture. 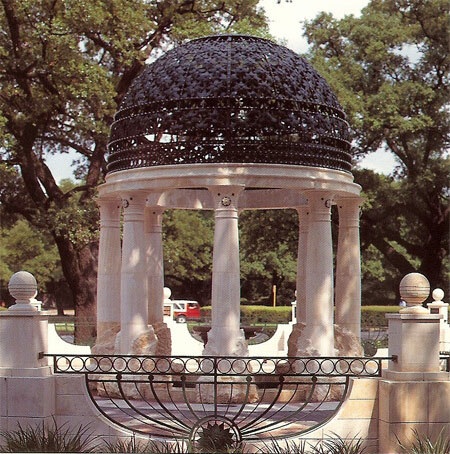 Designed to create great worth and merit for the investment, Artistry in Iron by Nicholas Brumder has enhanced the architecture of many notable public and private buildings, parks, and residences, and has its reputation of designing to suit a variety of architectural styles, in various metals, and working to the client’s budget. 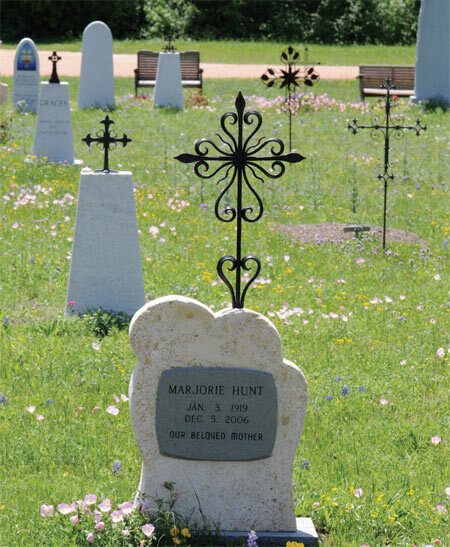 Above: Resurrection Cross for Our Lady of the Rosary Cemetery, Georgetown, Texas. 6 metres tall. Above: Cancer Survivors Memorial, Houston, Texas in collaboration with Jim Thomas Studios. Milosev Cekic, Architect. Above: Collumbarium gate for the Church of the Good Shepherd, Corpus Christi, Texas. Morgan Spear, Architect. The New Zealand Tunnelling Company, existing only during World War One, is unique in New Zealand's military history. Waihi and the Hauraki Goldfields had a large number of Tunnelling Company enlistments. Hauraki District Council, Newmont Waihi Gold, Waihi Heritage Vision and other interested parties have identified a suitable location and an appropriate memorial design. The memorial has been designed by Nicholas Brumder at Waihi Metal Studio.The primary design theme is a T shaped 7.5 metre structure designed to integrate with the natural surroundings. 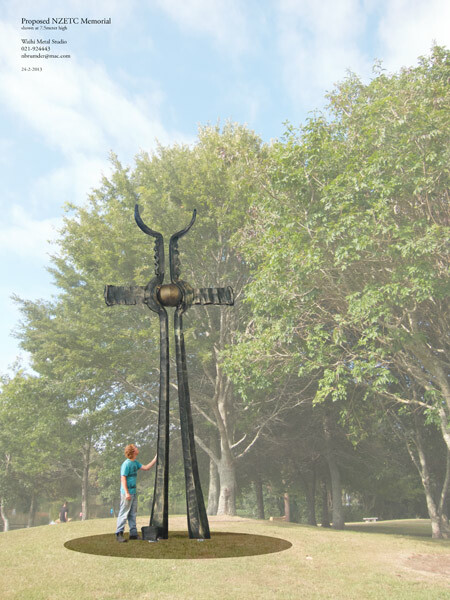 Above: Proposed New Zealand Tunnelling Company Memorial (to scale). The Hon. Simon Bridges - MP for Tauranga and Energy and Resources Minister, Labour Minister, Associate Minister for Climate Change Issues. Nicolas Brumbder's studio is dedicated to creating liturgical and sacred art. 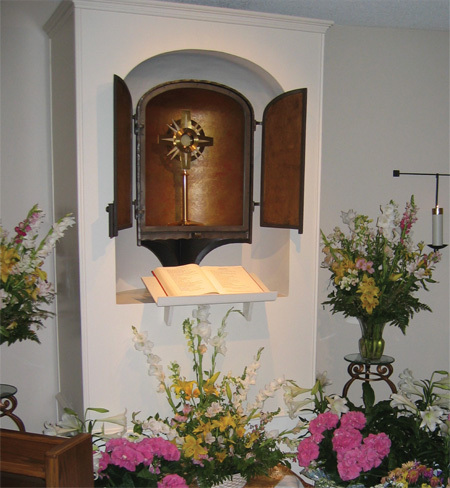 Brumbder's hand forged railings, gates, tabernacles, processional crosses, light fixtures and alter candle holders are works that lend beauty and grace to churches in America. Waihi Metal Studio looks forward to bringing this passion for liturgical work and sacred art, with mindfulness to Church budget constraints, to the service of the Church in New Zealand. Above: Reviving the art of memorialization at Our Lady, Nicholas is the chief designer and cemetery founder. 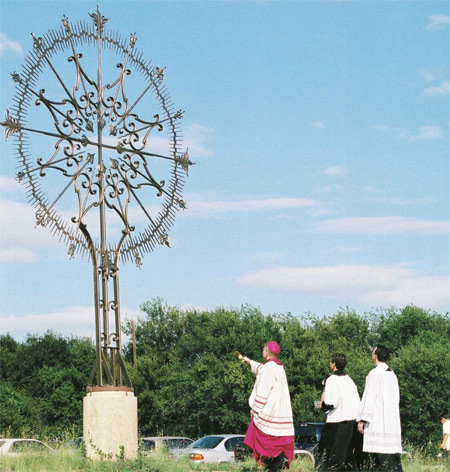 Above: Bishop Gregory Aymon blessing the Resurrection Cross for Our Lady of the Rosary Cemetery, Georgetown, Texas. 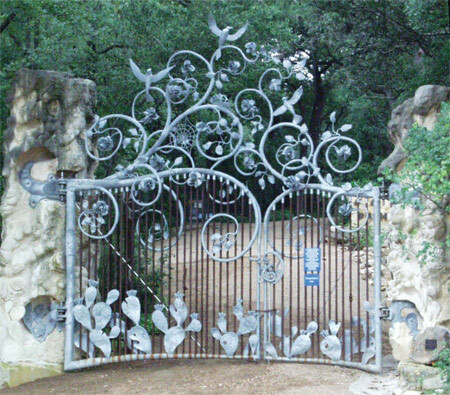 Above: St John's Entrance Gates, Marble Falls, Texas. Above: Adoration Tabernacle, St Helen's, Georgetown, Texas.